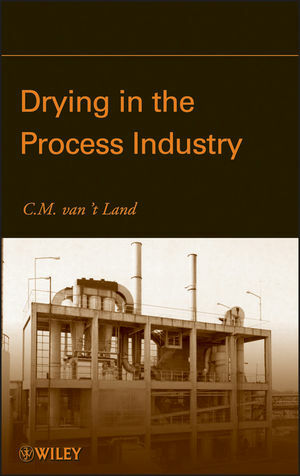 A detailed reference of interest for engineers and energy specialists working in the process industry field, Drying in the Process Industry investigates the current state of the art of today's industrial drying practices, examines the factors influencing drying's high costs in both equipment and energy consumption, and summarizes key elements for keeping drying operations under budget and performing at peak capacity safely while respecting the environment. Extensive coverage of dryer basics as well as essential procedures concerning the selection of industrial dryerssuch as how to gather results of relevant laboratory measurements, carry out small-scale tests, and correctly size equipmenthelp to inform readers on criteria for generating scalable specifications that greatly assist buying decisions. True of all process facilities where drying plays an important role, such as those in the chemical, pharmaceutical, plastics, and food industries, the purchase of improper industrial drying equipment can significantly affect a manufacturer's economic bottom line. With the guidance offered in this book, engineers will be able to confidently choose industrial drying equipment that increases profits, runs efficiently, and optimally suits their needs. C.M. VAN 'T LAND has run the seminar and consulting company Van 't Land Processing since 1999. Prior to that, he worked at Akzo Nobel Chemicals from 1968–2000 as process engineer, and later, process development manager and project leader. He is the author of Industrial Drying Equipment: Selection and Application and Industrial Crystallization of Melts.